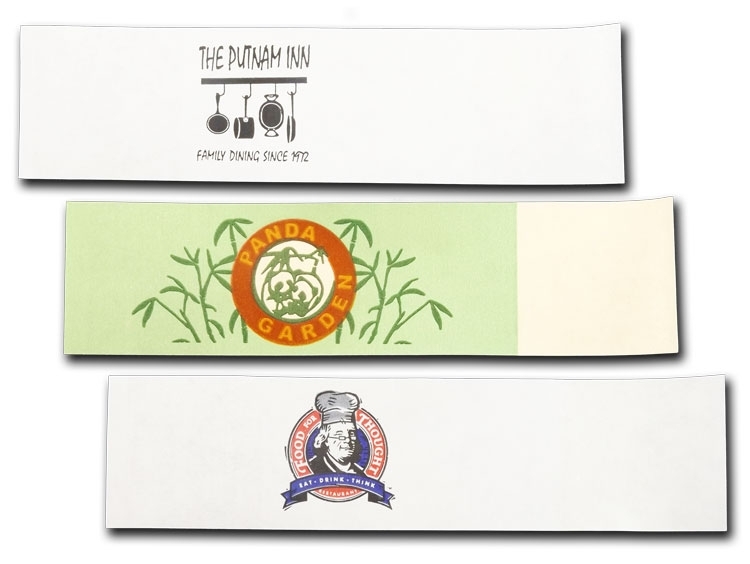 1.5" x 4.25" Standard size self-adhesive paper napkin bands are the correct size for rolling cutlery into a paper napkin. Show off at your event by personalizing every little detail on the table. 1-4 PMS colors (except for metallic inks) can be printed on these inexpensive little advertising billboards. 1.5" x 6" ~ Large Size self-adhesive paper napkin bands are the correct size for rolling cutlery into a cloth or linen napkin. Show off at your event by personalizing every little detail on the table. 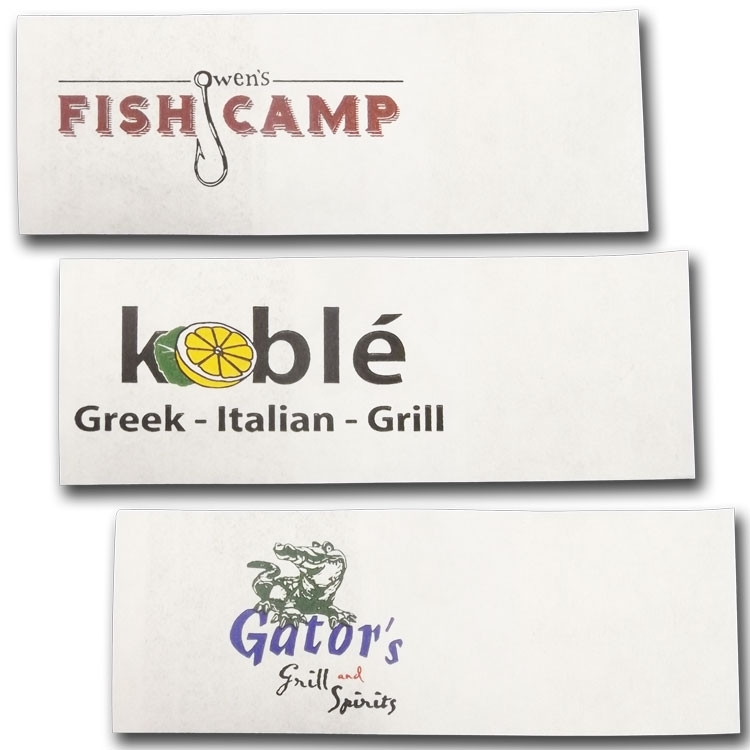 1-4 PMS colors (except for metallic inks) can be printed on these inexpensive little advertising billboards.